After the first musical meeting with Patrick Deltenre during recordings for her Duke Ellington CD Kristen knew that there was more music to make together. 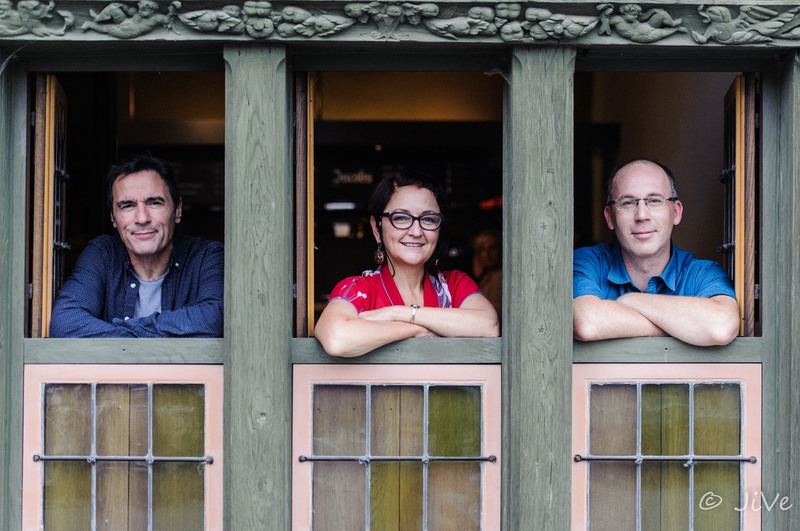 Deciding on a drummerless setting, together with husband and bassist Christophe Devisscher, the trio came together for the first time in 2014. Over the next few years followed a series of concerts and the in 2017 plans for recordings were made. With release set for March 2018, Spoonful, Back To The Blues is a homage to the essence of the blues. Repertoire from diverse sources from Buffalo Springfield to folk to Willie Dixon sit perfectly together in the expressive and intimate trio setting. A spoonful of musical medicine! Comfortable in many styles from pop to jazz to blues, Patrick is one of Belgiums most versatile musicians. He has been active in both the jazz and pop scenes in Belgium and France for more than 30 years. Recently he has also been active playing both guitar and mouth organ in cultural centres throughout Belgium in the project “What A Wonderful Toots” together with Eric Melaerts, Bruno Castellucci and Bart De Nolf. Patrick has played with Axelle Red, Maurane, Marc Lelanque, Ivan Paduart and Mimi Verderame, to mention a few. Christophe studied bass guitar and double bass at the Royal Conservatorium in Brussels. After many years playing and touring with the internationally acclaimed Alexi Tuomarila Quartet and Pascal Schumacher Quartet he started his own band in 2015 together with Frank Deruytter and Dré Pallemaerts. As a busy side-man Christophe has worked with a wide variety of musiciand including Johan Verminnen, Rabih About-Khalil and Pierre Van Dormael. He has been teaching bass guitar and double bass at the Gemeentelijke Academie Grimbergen for the last 20 years.